We haven’t dedicated a whole post to beer in a while. Emmet being off beer in the run up to the birth of his son doesn’t really lend itself to a deep, dynamic post about beer. But now that he’s back on the sauce, both of us are going to talk about a few brews we’ve been enjoying recently. 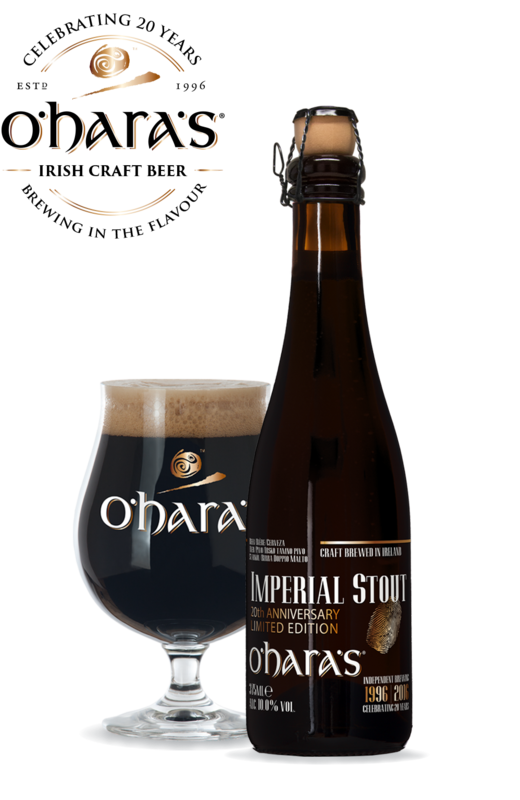 I keep mentioning on the podcast and blog that I’m in a dark, dark place recently: Imperial stouts have been dominating my drinking time. But these beers don’t really suit sitting in a pub. Among all the other ales and beers I’ve been trying, rye ales have probably been the one’s that most stand out to me. Rye is a grain, an ancient grain, which thrives in poor soil. It’s scrappy, and you probably know it best from some of the dark, dense German breads like pumpernickel. Of course, such a versatile, easily grown grain would find it’s way into beer eventually. Usually beer is made mostly of malted barley, but replacing some of that barley with rye, it can add an earthy spiciness to the beer. 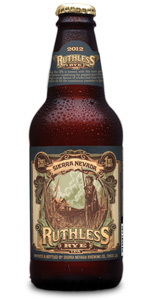 This was the first beer that really put rye ales on the map. I picked it up in a local off licence and took it home. I’d had one or two rye ales in the past, but wasn’t overly impressed. This blew me away. It was spicy, but in a different way to hop spiciness, and without any of the bitterness. My only problem was that it was a bit too spice forward; the taste was intense, and didn’t really lead to drinking more than one or two bottles. I tried, believe me, but it just didn’t sit quite right. So I was very happy when I came across this! I was in the same off licence again, and the DOT Brew head brewer, Shane Kelly, was there handing out samples. We chatted away, and I sampled their Rye Session Ale. I immediately went and bought two bottles. When I sat down to drink this at a recent games day I was very impressed: it had that slight spiciness that Ruckbucket has, but it’s much lighter. It’s called a session ale, and I agree. I could drink several of these back to back! Also, kudos to DOT Brew for their incredible graphic design on their labels. On a recent visit to one of the best craft beer pubs in Dublin, P Macs I was talking to the bar man about a recent preference for rye ales, he served me up Sierra Nevada’s Ruthless. Ruthless is actually a rye IPA. This means not only does it have the spiciness of the rye at play, but this is balanced with the citrus, herbal aspects of the hops. I’ve only had this once, recently, and I’m looking forward to trying a few more bottles in the future. While Paddy is taking a break from stouts to explore rye ales, I am diving head first into the frothy head or imperial stouts and porters. With not drinking for the weeks leading up to my little son joining us in the world (seriously don’t know how my wife managed 9 months…) I found myself coveting a lot of the beers I saw people drinking, and a lot of these seemed to be stouts and porters. So I’ve taken a bit of a break from the hoppy ales I tend to favour and have started enthusiastically exploring this dark dark world full of coffee and chocolate flavours. We chatted a bit about this anniversary brew on the podcast this month, and mentioned we had been invited to the launch. Ever since then and since taking a break from drinking, this has been the one that has tempted me and teased me from my shelf. It’s a beautifully smooth, dark, beer with a strong coffee taste, and leaves a wonderful warming mouthfeel behind. I had O’ Hara’s Leann Folain stout, which is fantastic in it’s own right, after having this and it made that wonderful beer taste mundane by comparison. This is the beer that kickstarted my love affair with stouts. Very limited availability and may be gone already but try to pick one up if you can! This came home with me along with 5 other stouts on a trip to the off licence a few week’s back. I had had a few of the Jack Cody beers before and wasn’t hugely enamoured, but a friend gave me a taste of this and I was intrigued enough to seek it out. I was glad I did. As you’d expect from the name, it’s a lovely, creamy stout with subtle coffee hints. It’s not a world beater by any means but it’s just a nice, warming, well-rounded beer. Nice for relaxing with when sitting down with a more casual game like Love Letter or Welcome to the Dungeon. This imperial stout came home alongside Jack Cody’s above, and I was damn near giddy to try it. Not only was it a stout, it was an imperial stout. An imperial stout flavoured with vanilla no less (I’m a sucker for vanilla). And to top it off it was from Black’s of Kinsale, one of my go to breweries when I’m picking something up. It didn’t disappoint. The vanilla flavour is subtle but it’s definitely there, and the extra hit of alcohol gives it more of a bite. It’s not on the same level as the O’ Hara’s imperial stout but considering that is limited edition, then “World’s End” could happily replace that for me. That’s it for today folks. Have you tried any of the beers we’ve mentioned above? What do you think of them? Have you tried and enjoyed any new beers lately? Please let us know in the comments below! The Drogheda Cream rapidly became my session drink, 2 or 3 bookended with an ale and an imperial. It also goes well with cured meats.